Coach and I celebrated our 18th wedding anniversary last month by going hiking on a date, and it was on one of our best anniversary trips EVER. 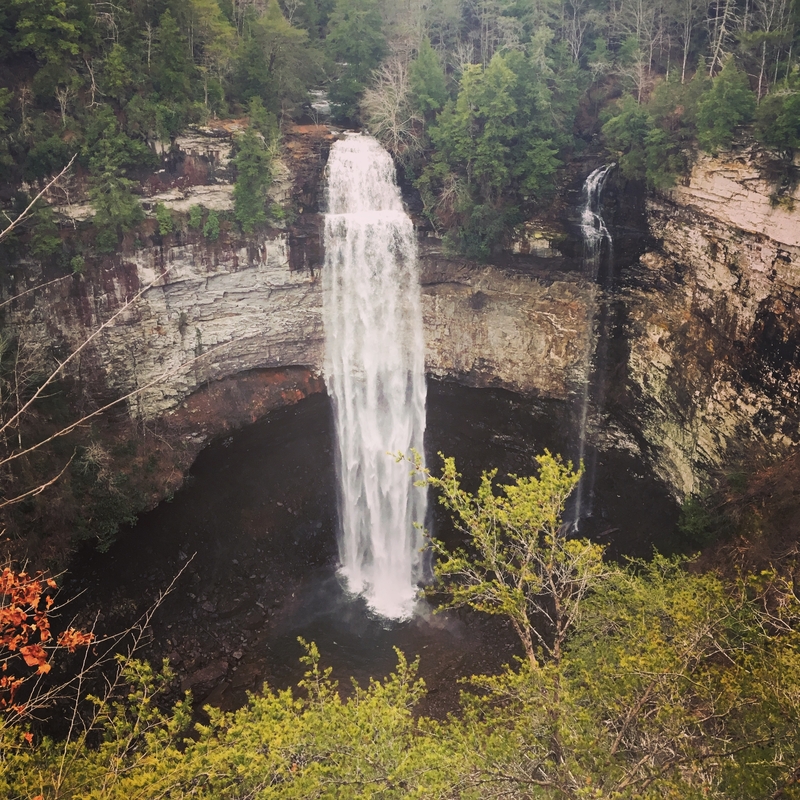 We visited Fall Creek Falls TN State Park, and we both absolutely fell in love…with the park. We’ve been in love with each other for years! I have to share our experience with you, because it was entirely too magical not to. Everything about it was perfect, and I cannot wait to go back. We’ve already decided to visit again this summer with Pooh and Tigger, because we know they’ll love it just as much as we did. Sit back and relax, and prepare to gaze upon some of the most beautiful natural wonders in the world. I took tons of pictures, and I’m just amazed that this place is right here in our home state. We can go hiking on a date only 2-3 hours from home! Here’s the sweetest part: The Inn offers a Honeymoon/Anniversary package, which includes lodging, a complimentary gift basket, and free breakfast. SCORE! The little basket was just adorable, stuffed full with RC Colas, Moon Pies, Goo Goo Clusters, Ruffles potato chips, and more…including a cute little candle and some matches. How romantic! And since we booked two nights, they hooked us up with free breakfast vouchers for both mornings, as well! Anywho…we drove out to the falls pretty soon after arriving, and we were both just blown away by how GORGEOUS the scene was! It’s a very short walk from your car to the overlook, so even if you aren’t into hiking, it’s worth visiting these amazing Tennessee State Parks waterfalls. We learned a lot about this breathtaking act of God…did you know that Fall Creek Falls is the highest waterfall east of the Rockies? It’s even higher than Niagra Falls! While on the overlook, we noticed two hiking trails, one that led off to the right and the top of the falls, and one that led off to the left toward the bottom. We made up our minds to hit that trail to the left first thing the next morning! I knew from what little we saw of it that it would not be easy, but I was determined. You just can’t visit Fall Creek Falls without seeing it from below, right? you knew there would be a food story, right? We got a good night’s sleep (after a round of cocktails and a Spite and Malice tournament), and got up early enough to cash in on our free breakfast. Oh my word, what a breakfast! The restaurant is right off of the inn’s lobby, and it was a buffet spread that made our eyes pop out of our heads. They even had chocolate gravy, y’all! If you’re not from the South and don’t know what chocolate gravy is, I’m so sorry. 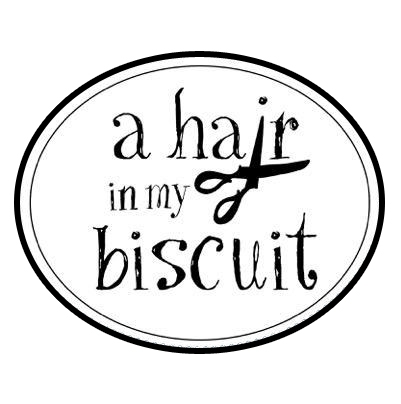 You MUST try it, with homemade biscuits, of course. The trail to the bottom of the falls was completely worth it. It had rained the night before, and it was very steep and a little slick, but there is a handrail all the way to the bottom. The trail is basically stairs made from carefully placed rocks and very convenient tree roots. It’s steep enough to make you feel like you’re going to get there ahead of yourself, know what I mean? There was so much to see along the way, and I just snapped picture after picture. Once we reached the bottom, we were in complete awe. I felt so tiny! It’s amazing how enormous the gorge is, and how much cooler it was at the bottom. You can feel the spray from several several feet away. It was absolutely one of the most amazing things I’ve ever done in my entire life. I’ve been to Europe, Mexico, all over the Eastern United States; I’ve seen the Rocky Mountains and the deserts of New Mexico. Hiking on a date with my husband to the bottom of Fall Creek Falls trumps all that. We must’ve stayed down there for an hour, just gazing at the waterfall, feeling the cool spray on our skin, and dodging the rambunctious teenagers who climbed all over the rocks and into the water. Then, we realized the inevitable truth…we had to go back up. Honestly, it wasn’t as bad as I thought it would be. It was actually a little easier going up than it was coming down, because we didn’t feel like we were going to fall. Yes, I had to stop and catch my breath a few times, but I felt so accomplished! As a matter of fact, we both felt so great when we got back to the top, we decided to hit the trail to the right, as well. It was a much longer hike, but so much easier, and definitely full of gorgeous sights. When you’re having this much fun hiking on a date, you really don’t want it to end! See this picture? Remember it. Also remember that I, Martie Biscuit, am terrified of heights, or, more specifically, scary edges. I just don’t do them. I’m going to show you this spot from a different angle in a bit. My FitBit stats told all once we were done. We had walked almost 5 miles, and 48 flights of stairs. Wow. What a perfectly perfect day! We drove around a bit more and took in a few more sights, like these Cane Creek Cascades, before finding a Dollar General and purchasing a bag of Epsom salts. I got this amazing shot of the cascades with a pretty rainbow. Then, I looked up and realized that the overlook we had been on maybe an hour before (the pic I told you to remember) was right there…and I was shocked! I actually stood there and looked down without wanting to puke? That’s how gorgeous all of this was…I didn’t even realize I was supposed to be afraid! There was one thing I just could NOT do. I had seen pictures of a neat swinging bridge online before we left for this trip, and thought to myself, “I’m going to walk on that bridge.” I was really determined to not miss anything while we were at Fall Creek Falls TN State Park. But, then we found the bridge. The really loooooong swinging bridge. Not only was it looooooooooong, , but some douche canoe was walking across it when we found it, jumping around and acting like a fool, trying to scare his own children. I seriously despise people like that. Coach braved it after the asshat had gone on, and wound up regretting it, because said asshat acted even more stupid and immature on the way back than he did on the way over. UGH. Our last stop before leaving the park was this beautiful spot called George Hole. There was a second swinging bridge, but it was closed, further confirming my belief that those things just are not safe! But the hole itself was astounding! It’s clearly a swimming hole during summer, and I know the girls will love this spot the most on our return trip. All in all, I’d have to say this was literally the best of all the anniversary trips we’ve taken, and hiking on a date is now our new favorite. Everything about this trip was perfect, and I’m so glad we decided to go to Fall Creek Falls State Park Tennessee! Coach and I HIGHLY RECOMMEND that you go, as well, and don’t miss a thing (especially the chocolate gravy). I can’t believe I haven’t seen these pictures yet! Man, what a place. I wasn’t sure if I’d ever been there, but I can now safely say I haven’t. I need to add that to the list! Absolutely! You would adore it. I can’t wait to visit your Rock Island this summer!